At WillowTree, we believe customer loyalty is about creating experiences. While loyalty programs are dependent on being able to recognize a unique customer, loyalty experiences help create a deeper understanding of your customers beyond their names and email addresses. Why are they engaging with your business? What are they looking for? What do they like or dislike? What is incentivizing their interaction? An entire marketplace awaits your product. At WillowTree, we work to understand the past, present, and future of your market—whether you’re a clothing retailer, restaurant or grocery chain, or any other brand reliant on a direct customer relationship—by keeping up-to-date on the latest trends and analyst insights. This allows us to create a distinctive product that gives your company an edge over your competitors. Movie aficionados loved the Regal Cinemas experience, and Regal had a vision to enhance its loyalty program to reward them. Regal partnered with WillowTree and began reworking its approach to customer loyalty in all channels—including digital. The app proved incredibly successful, garnering 4.5±star ratings in both the Apple App Store and Google Play. See more in our Regal Cinemas app case study. Wyndham Hotel Group approached WillowTree to create a unified experience for iOS and Android. Wyndham’s new product needed to meet the needs of their wide range of hotel brands, from economy to upper-upscale, and allow users to customize their app experience based on the brands they preferred most. 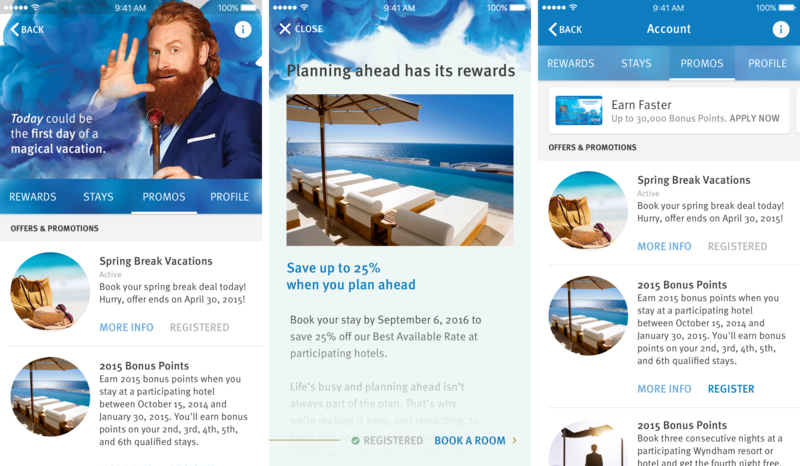 See more in our Wyndham Rewards app case study. "We really liked WillowTree’s ‘boutique’ approach and their willingness to dedicate the same people to our team over the mobile lifecycle, not just through launch… WillowTree is a great asset to any agile development team."